Dublin North West Repeal is delighted to announce our first public, information-sharing meeting. 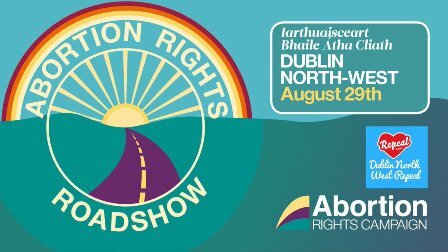 If you’ve heard of the 8th Amendment and would like to learn more about what it means and why it should be repealed, then please come along. Speakers on the night will include Anna Cosgrave of the Repeal Project, Dr. Tiernan Murray of Doctors for Choice and Amy Walsh of TFMR Ireland. We’re looking forward to an informative and engaging meeting. Please bring your friends and join us!